Home > Blog > WordPress Guides > What is the difference between a category and a tag in WordPress? Author: Martin Malden Published: January 19, 2016. Last updated: April 10, 2019. Here’s a question that was put to me the other day: what are categories and tags in WordPress and how would I use them? Simply put, categories and tags are WordPress’ filing system. They enable you to group together posts (not pages) that cover the same or a closely related subject. I like to think of it this way: you have a filing cabinet, which contains all your content – that’s WordPress. 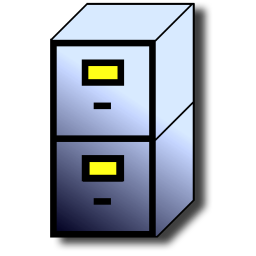 In your filing cabinet you have a number of drawers – those represent your categories. And within each drawer you have some folders, which equate to your tags. Categories are hierarchical – meaning you can have parent and child categories. Tags are not hierarchical. You would then assign all articles you write on Germany to the Europe category and Germany tag. All articles on France would also go into the Europe category, but they would be assigned the France tag. All articles should be assigned to a specific category – if you don’t, then WordPress will label them as ‘uncategorised’. You don’t need to assign an article to a tag, although I always do because it helps readers more easily find what they’re interested in. If you want to use hierarchical categories then, using the same example, you could make Austria, France and Germany child categories of Europe, which would enable you to assign more closely focused tags. Under this structure an article you write on public transport in Germany would go into the Germany child category and the transportation tag. Similarly, an article on transportation in France would also be assigned the transportation tag, but it would go into the France child category. If you then re-assigned that article to the ‘Austria’ category its permalink would change and that would break any links you had coming in to the article under its original URL. To avoid those situations I always recommend thinking carefully about your blog before you start publishing articles. Decide what subject the blog will focus on (and the more focused the better) and then map out a structure of categories and tags (your filing system) on a sheet of paper. Once I start writing I assign each article to a single category and a single tag. That helps me to stay focused, it keeps my content organised and it makes it easier for readers to find content in which they are specifically interested. I’ve seen blogs where articles are assigned to multiple categories and a dozen or more tags, which doesn’t help anyone. The more tags you assign the more diluted your structure becomes. For readers to be able to find as much of your content as possible, it needs to be well structured. Having your content well organised and structured makes it easier for the search engines too, so categories and tags (when used in this way) are an SEO factor – the better structured they are the more likely it is that the search engines will find and index more (if not all) of your content.